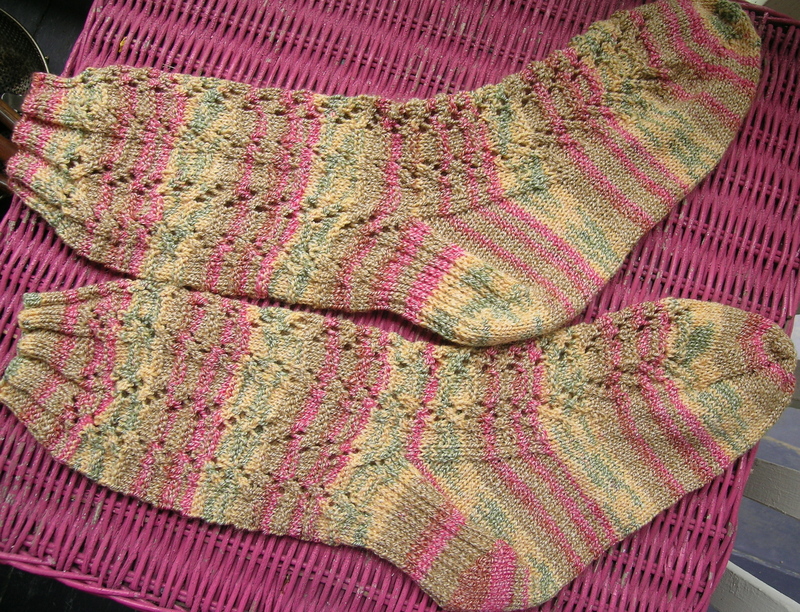 This was a very simple pattern, but the socks seemed to drag on for me. I think that it is because I was not happy with the yarn. 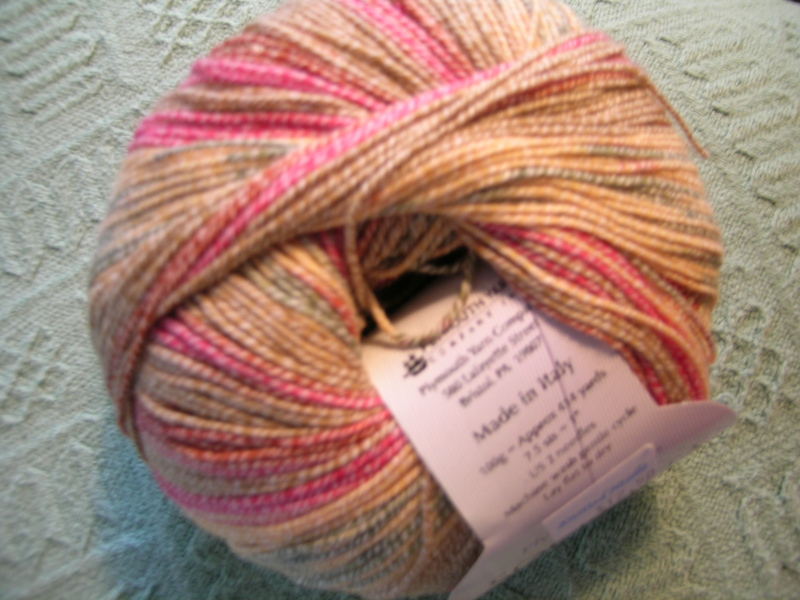 First, I am not a fan of self-striping sock yarns (this was picked out by a friend), secondly, this yarn was not very subtle. When I was working on it, people would say how pretty it was, then when they felt it the common response was “Oh…” I definitely would not buy this again. The pattern however was very easy to knit and would work with a highly variegated yarn, I am thinking some of the Koigu that I have stashed away. Once again, the sizing is very generous. This is a M, for a large foot, and there is plenty of ease in it. Yarn in the skein. I thought it would be more peppered with color than striping. I should have looked more closely. Luckily it worked out with the pattern. This sock club also comes with 2 cookie recipes. 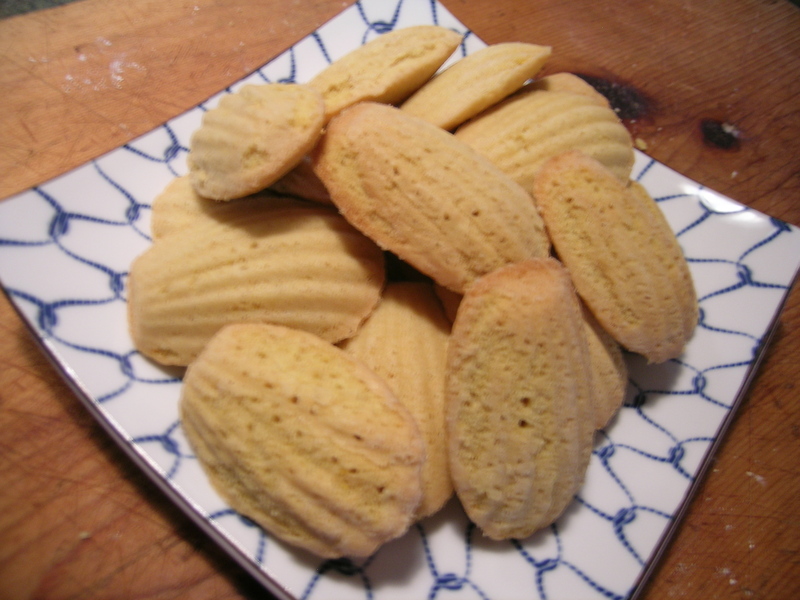 This shipment had Madelines as one of the recipes. I do not think that I have ever had them, let alone made them. 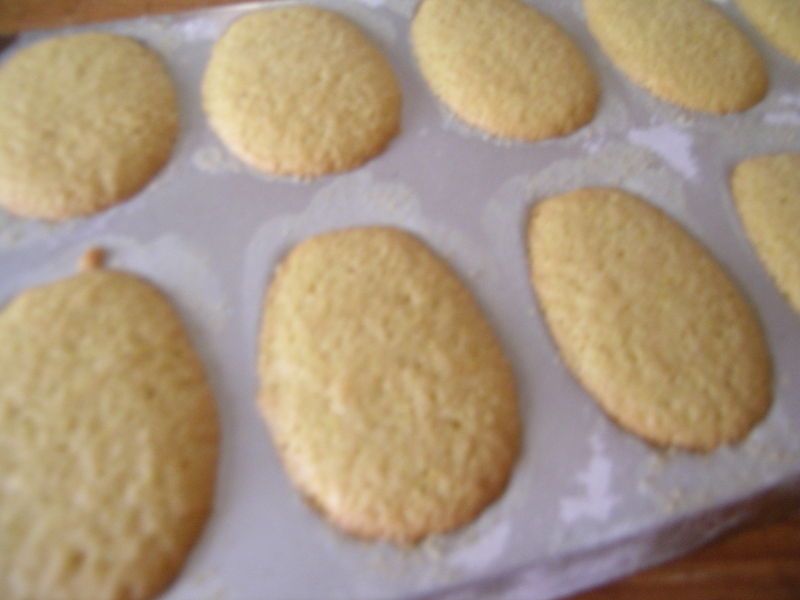 I had to buy a special pan to bake them in. I am hooked. Light orange flavor, they are so yummy.